Founded by Dale Fisher and located on his farm, The Michigan’s Center for the Photographic Arts is a non-profit organization established to help keep photographic art alive with the intention of making Grass Lake a worldwide destination for photographers to display their masterpieces. Concord Elementary School Students admire their photographs at the Wings Gallery as part of Michigan’s Center for the Photographic Arts Program. One of the purposes of The Michigan’s Center for the Photographic Arts is to unleash the creative spirit in each child, to teach them to be vitally aware of their surroundings, and introduce them to art professionals. During the year professional photographers work within Michigan schools to give basic instruction in art and composition and how to communicate with the camera. 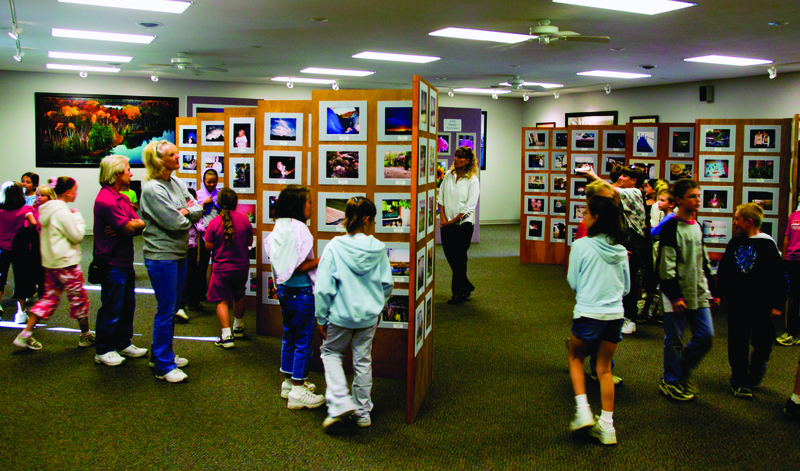 Each child is given a disposable camera and the best art from their camera is then mounted, enlarged and displayed at an annual event.